FedEx is an industry leader in express distribution with time-definite delivery to more than 220 countries and territories. The world’s largest express transportation company, FedEx provides a range of delivery and logistics services throughout the United Kingdom and around the world. Through its established national pick-up and delivery network in the UK, FedEx also offers a variety of delivery options from time-delivery to affordable economy services. FedEx operates more than 48,000 vehicles in its delivery fleet, 1,250 operating facilities and 12 air hubs. Around the world, there are 690 FedEx World Service Centres and 1,750 FedEx Office locations. The company has approximately 6,300 FedEx Authorised ShipCentres and Alliance Partners and about 37,000 FedEX Drop Boxes. FedEx Corporation has various operating units. Each unit is assigned its own version of the company’s logo. While the ‘Fed’ in the mark is always purple, the colour of the ‘Ex’ changes for each division. For example, platinum is used for corporate uses and the ‘Ex’ for FedEx Express is orange. FedEx Express is the corporation’s air cargo division and provides overnight courier services with next day air service within the U.S. and time-definite international service. FedEx express operates over 600 aircraft and more than 30,000 delivery trucks. The airline serves more than 375 destinations worldwide. Formerly part of FedEx Freight, Caribbean Transport Services provides airfreight forwarding services for FedEx Express between the continental United States, Puerto Rico, the Dominican Republic and other Caribbean islands. FedEx Ground (green ‘Ex’) provides guaranteed day-definite delivery to addresses within Canada and the United States. Rates are lower than time-definite services through FedEx Express. FedEx Ground uses independent contractors with owner-operator vehicles and drivers with responsibility over specific routes and territories. FedEx Home Delivery is a division of FedEx Ground and provides residential delivery from Tuesday to Saturday in the United States. In the UK, FedEx Ground’s counterpart is FedEx UK. FedEx UK is responsible for domestic shipping in the United Kingdom, while FedEx Express links the UK with the rest of the world. FedEx Freight (red ‘Ex’) is responsible for less than truckload and other freight services. The carrier is the second largest less than tuckload or LTL operation in the United States. Divisions of FedEx Freight include FedEx Freight, Inc., which formerly includes Viking Freight, American Freightways and Watkins Motor Lines. FedEx Freight also includes FedEx Freight Canada and FedEx Custom Critical, which delivers urgent, valuable and hazardous items using independent contractors. FedEx Custom Critical does not transport certain high-risk items, including livestock, perishable food, alcohol, hazardous waste, money and household goods. FedEx Office (blue ‘Ex’) is the corporation’s retail operation. Outlets provide copying and digital printing services, as well as document creation, professional finishing, internet access, signs and graphics, direct mail, web-based printing, and computer rentals. Parcels can also be sent with FedEx at local branches. FedEx Office was known as Kinko’s until it was acquired in 2004. Known as FedEx Kinko’s after the purchase, the FedEx Office brand was adopted in 2008. Outlets include FedEx Office and Print Centres for copying, printing, internet and FedEx shipping. FedEx Ship Centres provide a central location for shipping, as well as self-serve photocopying and faxing. Outside of Canada and the United State, authorised retailers or Federal Express International outlets may operate in place of FedEx Office. FedEx SameDay City is a division of FedEx Office that provides delivery between certain areas of the United States within two hours, particularly in major cities. FedEx intends to spin off the operation into a separate operating unit in the future. FedEx Smart Post (platinum ‘Ex’) consolidates parcels from merchants for delivery with the USPS. The service is used largely by e-commerce and catalogue companies in the United States. It was formerly known as Parcel Direct before FedEx purchased the company in 2004. FedEx Trade Networks (yellow ‘Ex’) provides customs, insurance and transportation advice services. The division was formerly operated as C.J. Tower & Sons and Tower Group International. FedEx Trade Networks is a one-stop resource for international shipping services. FedEx also provides a FedEx Global Trade Manager tool with easy-to-find documents and information on international shipping. Corporate units of FedEx include FedEx Supply Chain Services, which provides logistics services including transportation management and fulfillment services. FedEx Corporate Services provides global marketing, planning and information technology services. These services are offered to FedEx subsidiaries. FedEx allows customers to track the status of a shipment. FedEx Tracking is available online using a tracking number or reference for packages or freight shipments. Any reference number related to the package can be used in combination with the ship date, destination country and destination post code. If a tracking number is available, only that number is required to trace a package. Customers are able to check up to 30 tracking numbers at one time when using FedEx’s online tool. Tracking numbers are available for FedEx Express, FedEx Express Freight, FedEx Ground, FedEx Home Delivery, FedEx SmartPost, FedEx Freight and FedEx Custom Critical shipments. FedEx Ground and FedEx Freight services are only available in the United States and Canada, while FedEx Home Delivery, FedEx SmartPost and FedEx Custom Critical services are only available in the U.S.
Other reference numbers that can be used to track a package are door tag numbers. Door dag numbers start with “DT” followed by 12 numbers. Door tag numbers are only used in the United States and Canada. U.S. customers can also track packages using a FedEx Office order number, which is provided at the time a shipment is sent from a FedEx Office location. Alternatively, FedEx customers with an account number can track shipments associated with specific account numbers. In order to use an account number, users must also enter the approximate ship date, destination country and destination post code. Customers can obtain proof of delivery on FedEx Express, FedEx Ground and FedEx Freight shipments. Unlike FedEx Tracking which provides a status update on the exact location of the parcel, proof of delivery only provides information on when the item was delivered. A copy of the FedEx Freight Bill of Lading can also be requested online. Proof of delivery or the Bill of Lading can be sent by email or fax, or can be printed from the web browser. Customers are able to request proof of delivery online for up to 30 shipments at a time. Individuals and businesses may ship with FedEx online. Options include quick shipping with or without registration. A credit card is needed to register for a FedEx online account. Business or corporate customers can also submit an application form online and complete the process with a customer service representative. This process allows corporate customers to speak with a representative in order to find the best solution for individual business needs. For quick shipping, customers use the FedEx Ship Manager Lite. The streamlined tool provides the ability to purchase a obtain rates and estimated transit time, schedule a pick-up and send one package up to 68 kilograms without registering or logging into a fedex.com account. Alternatively, frequent shippers can register for FedEx Ship Manager and receive a fedex.com user ID and password in order to access a range of advanced shipping services. Advanced features include the ability to complete customs paperwork online, store contact details in an address book, and store and review shipping history and tracking information. Registered users also have the ability to ship heavier items over 68 kilograms, dangerous goods and dry ice, and multiple packages in one shipment. 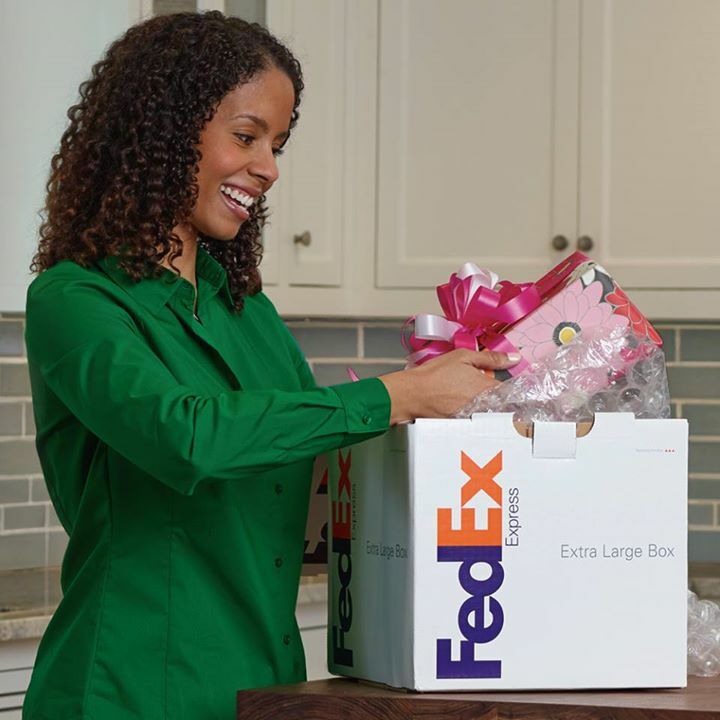 In the United States, FedEx Express offers shipping services with guaranteed delivery within one to three business days within the continental United States. Express service is also provided between the continental United States and Alaska or Hawaii. Internationally, FedEx operates an extensive air and ground network with customs-cleared door-to-door delivery service. International express delivery is offered for more than 220 countries and territories with a variety of time-definite services are also offered. FedEx Express is the world’s largest airline in terms of freight tons flown. The airline also operates the fourth largest fleet in the world with over 600 aircraft and is based at Memphis International Airport. The airline also has hubs at Ted Stevens Anchorage International Airport, Oakland International Airport, Newark Liberty International Airport, Miami International Airport and Fort Worth Alliance Airport. FedEx Express also has international hubs at Paris Charles de Gaulle Airport in France, Guangzhou Baiyun International Airport in China, Kansai International Airport in Japan, Cologne Bonn Airport in Germany, and Toronto Person International Airport in Canada. FedEx Express also has agreements with contract carriers who operate their own aircraft to carry FedEx cargo. FedEx Express offers a range of services to customers in the UK for international shipments, including inbound and outbound parcels, documents and heavyweight shipments. The Rates depend on the origin and destination of the shipment, as well as the weight and service level requested. Transit times vary depending on the origin and destination, as well as the nature of the goods being shipped. For urgent outbound shipments up to 68 kilograms between the United Kingdom and Europe, FedEx Europe First to major European cities provides next morning delivery by 9:00 a.m., 9:30 a.m. or 10:00 a.m. depending on the destination post code. The heaviest package must not be more than 68 kilograms, although there is virtually no limit to the weight of the entire shipment. FedEx International First to the United States offers delivery to major areas by 8:00 a.m. or 8:30 a.m. For inbound shipments from the U.S., delivery is within two days by morning (9:00, 9:30 or 10:00 a.m., depending on the destination post code). Although unavailable for outbound shipments to Canada and Latin America, FedEx International First is available for inbound shipments from these destinations with delivery in the UK within two days by morning. 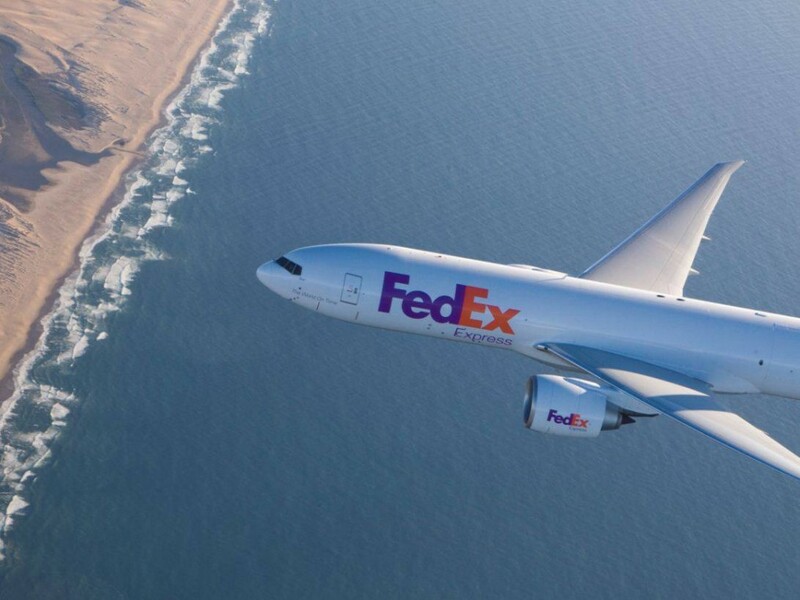 FedEx International Priority provides next day delivery to Europe, the United States and Canada, delivery within two days to Latin America, Asia, the Middle East and India, and delivery within two to four days to Africa and Oceania. For inbound shipments, transit times are two days for items sent from the United States, Canada and Latin America and within one or two days for Asia, the Middle East, India, Africa and Oceania. For less urgent items, FedEx International Economy provides a cost-effective alternative for day-definite and customs-cleared door-to-door delivery. The maximum weight per package is 68 kilograms. Within Europe, transit times for outbound and inbound shipments vary between two to five days. For Canada, the United States and Latin America, delivery is within four days for outbound shipments and within four to six days for inbound shipments depending on the origin and destination. In other parts of the world, delivery of outbound shipments is within four to six days for Asia and three to four days for the Middle East, India, Africa and Oceania. For inbound shipments, delivery can be expected within three to four days for items sent from Asia or four days for items sent from the Middle East, India, Africa and Oceania. FedEx Freight ships heavyweight and bulky items between 68 kilograms and 1,000 kilograms. Items are shipped on pallets, crates or multiple boxes. The freight service covers the United States in one to three business days. International express freight is available to 50 countries in one to three business days, with economy service for other locations within five days. The service is designed for business-to-business shipping. For urgent shipments, FedEx International Priority Freight provides door-to-door pick-up and delivery. Transit times for destinations in Europe are between two and three days, while transit times to the United States and Canada are one to two days. For destinations in Asia, the Middle East and India, deliveries can be expected within two to four days and within three to five days to Africa and Oceania. For inbound heavy weight items, transit times are one to three days for items sent from Europe and two to three days for items sent from the United States, Canada, the Middle East and India. Inbound items take between two to four days when originating in Latin America and Asia or four to six days from Africa and Oceania. FedEx International Economy Freight is available for less urgent shipments. Delivery can be expected within four to five days when shipping to Europe, the United States and Canada. Transit times are four to six days for Asia, the Middle East and India, three to five days for Latin America, and five to seven days for Africa and Oceania. For inbound shipments, transit times are between three to five days when receiving an item from Europe. Transit times are four to five days for shipments arriving from the United States, Canada, the Middle East and India or four to six days from Latin America and Asia. FedEx UK provides parcel and document domestic shipping within the United Kingdom. For urgent next day delivery, FedEx offers four service levels with delivery by 9:00 a.m., 10 a.m., noon or the close of business on the next working day. Saturday delivery is also available for timed and close of business services. For less urgent shipments, FedEX Economy delivers items within two to three business days. FedEx UK operates 65 locations across England, Scotland, Wales and Northern Ireland. To find a location, use a post code to determine the nearest FedEx depot. 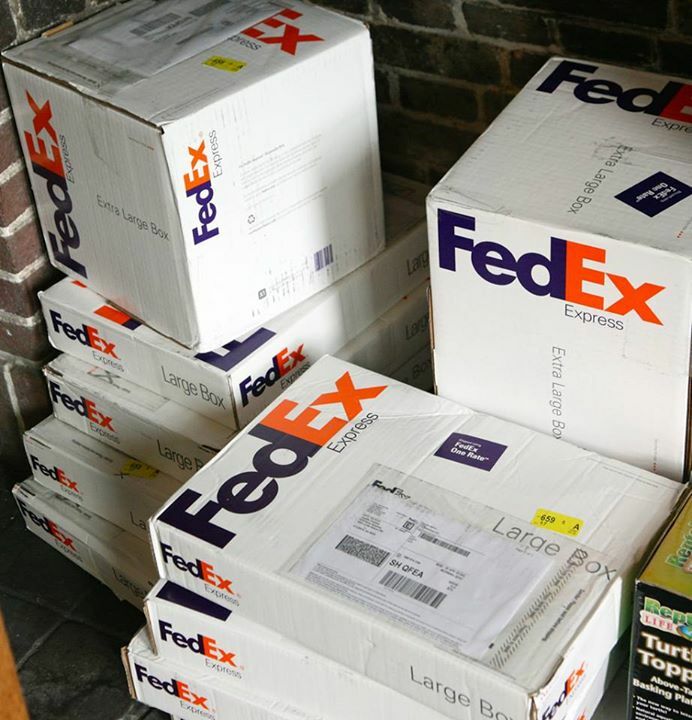 Shipments may be sent at FedEx locations, which are also used to hold items that cannot be delivered or when a collection from a FedEx depot has been requested. Many locations also provide shipping materials to pack items and other products offered by FedEx. To find a FedEx location in the company’s international network, visit www.fedex.com/locate. FedEx UK provides shipping supplies at no additional cost for domestic and international parcels and documents. Once an item is packed and FedEx documentation is prepared and printed, a collection is booked online. It is also possible to arrange a pick-up online. Alternatively, items can be dropped off at a FedEx drop-off location. A charge may apply when requesting a FedEx Express pick-up, although there is no fee for regular scheduled collections or when dropping off a package at a FedEx location. All services have a latest time set whereby a package can be picked up. For businesses, this is generally the company’s closing time. Saturday pick-up is also offered in certain locations. The FedEx Mobile App provides easy-to-use information from any location. The app includes information on rate and transit time quotes and the closest FedEx drop-off locations. 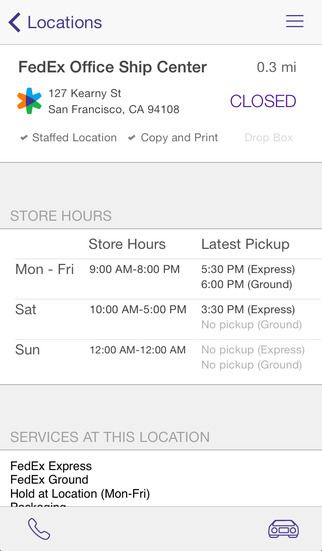 The app can also be used to schedule a pick-up, ship an item using a credit card and track shipments. FedEx Mobile is available for web-enabled smartphones at m.fedex.com. Device-specific mobile apps are also available for iPhones and iPads, BlackBerry smartphones, and Android smartphones. For information about downloading, visit the FedEx Mobile app website. Federal Express moved from Little Rock, Arkansas to Memphis, Tennessee in 1973. That year, the company commenced overnight operations commenced between 25 cities in the United States. Originally, Federal Express offered overnight and two-day delivery services. In 1975, the company launched its first drop box location. These boxes allowed customers to drop off parcels without having to visit to a Federal Express branch location. By 1976, Federal Express had become profitable and handled approximately 19,000 parcels every day. The removal of U.S. legislative restrictions on cargo airline routes in 1977 allowed Federal Express to buy its first large aircraft and expand significantly. In 1978, Federal Express became a publicly traded company and was listed on the New York Stock Exchange. In 1979, it was the first shipping company to implement a centralised computer system to manage its operations in real time including packages, vehicles and people. Federal Express added 90 U.S. cities to its network in 1980 and introduced international operations in 1981, beginning with service to Canada. In 1986, Federal Express introduced the shipping industry’s first hand-held bar code scanner. This new innovation allowed for the first real-time parcel tracking. Federal Express changed its name to FedEx in 1994, formally adopting an abbreviated name that had been used informally for several years. That same year, the company launched the first transportation internet site with online package tracking capability. FedEx expanded into Asia in 1995 and opened its first European hub in 1999 at Paris Charles de Gaulle Airport. FedEx Corporation was formerly incorporated in 1997 and was founded in 1998 following the acquisition of Caliber System Inc. The purchase allowed FedEx to begin offering additional services beyond express shipping. FedEx Corporation (originally FDX Corporation) was created to oversee the operations of Caliber System Inc. subsidiaries, including Roadway Package Systems (RPS). Roadway Services was the owner of several trucking companies, including Roberts Express (expedited shipping), Viking Freight (freight carrier in the Western U.S.) and Roadway Express. Caliber System Inc. subsidiaries also included Caribbean Transportation Services (airfreight forwarding provider between the U.S. and the Caribbean), Caliber Logistics (provider of logistics solutions) and Caliber Technology (provider of technology solutions). Roberts Express was rebranded as FedEx Custom Critical, while Viking Freight became FedEx Freight West and Roadway Package Systems became FedEx Ground. The FedEx Corporation was also tasked with overseeing the operations of Federal Express’s original air division. In 2000, FedEx’s cargo airline was rebranded as FedEx Express to distinguish itself from other services offered by FedEx. A year later, FedEx began a relationship with the United States Postal Service (USPS) to transport Express and Priority mail. The USPS remains FedEx Express’s largest customer. FedEx Express purchased UK-based courier ANC Holding Limited in 2006, adding sort facilities in the United Kingdom. The acquisition allowed FedEx to operate direct routes to the UK rather than its European hub at Charles de Gaulle Airport. In 2007, ANC was rebranded as FedEx UK. FedEx Corporation is a global courier delivery service with worldwide headquarters in Memphis, Tennessee. The company’s Canadian base is in Toronto, while Asia Pacific operations are centred in Hong Kong. The headquarters for FedEx’s Europe, Middle East and Africa operations is Brussels, Belgium. Latin American operations are based in Miami, Florida. FedEx distributes approximately four million packages and 11 million pounds of freight every business day. With operations to over 220 countries and territories, the company connects markets that hold more than 90 per cent of the world’s gross domestic product. It does so within one to three business days to major markets, making it one of the most reliable time-definite delivery services in the world. Total revenue for all FedEx operations in the 2014 fiscal year was $27.1 billion. FedEx is a major sponsor of sport and international events. The corporation has the naming rights of the home of the National Football League’s Washington Redskins, FedExField. It also sponsors the home of the National Basketball League’s Memphis Grizzlies, the FedExForum. FedEx also sponsors the Heineken Cup in rugby union and the FedEx Cup, which is part of the PGA Tour for professional golfers. FedEx employs more than 300,000 people around the world. Fortune Magazine named FedEx as one of the “100 Best Places to Work For” in 2014, as well as eighth most admired company in the world and the best delivery industry company in 2014. The company is also named the eighth most reputable company in the United States in the Reputation Institute’s 2014 ranking. Most employment opportunities with FedEx are customer facing, although there are also a range positions that support the corporation’s business. Job and career opportunities include couriers and drivers, customer service agents and warehouse and airport ramp handlers. FedEx also employs individuals in customs for importing and exporting, finance and customer financial services, human resources, planning and engineering, information technology (IT), sales and marketing, and operations management. For job opportunities with FedEx, visit the FedEx Careers Website. FedEx UK’s head office is located at Parkhouse Industrial Estate, East Chesterton, Newcastle-under-Lyme, Saffordshire, ST5 7RB. For customer service enquiries, contact FedEx on 0845 600 0068 or email ukcsenquiries@fedex.com. FedEx also provides an online enquiry form and a Live Chat, which operates Monday through Friday, from 8:00 a.m. to 6:00 p.m. excluding holidays. have been called by our 001465450434 but letf no message. Trying to ring that number proved impossible. As I have no packet due for delivery I suspect the source. I would like to know what you think. My post code is BN25 2NS. the tracking number that I was given is 10177611360 but when I enter this number the result is the tracking number cannot be found, the Item is a Bradley Tow Hitch sourced on ebay.Can you please help trace my parcel. when are you going to deliver it? I have received an email claiming to be from fed ex which has been dumped in my junk box while I am awaiting a package from Thailand, this email looks dodgey, all I can see without opening the email is ‘8662 john g b’ could you tell me if is likely to be a legitimate email from yourselves please? You need to track the letter. We cannot simply reverse-search the letter’s location based on your address. This is impossible.